Hangouts on Air for Google+ was released last September but stayed unavailable to the general public, but Google has recently announced that it will start rolling out this new Google+ feature to users worldwide. Google+ Hangouts on Air is a live video chat that allows for up to nine other participants to join in the conversation via webcam. This new broadcasting capability opens doors for huge opportunities for businesses to use in a variety of marketing efforts. Google+ Hangouts on Air offers a way to offer public broadcasting that can be uploaded to your business website, YouTube channel and Google+ page because it records broadcasts and creates easy way to share the recorded broadcasts. While the Hangout on Air is live is also offers engagement tracking so you can view how many users are tuning in during the broadcast time. It is also simple to start a Hangout on Air by clicking the yellow button in your Google+ account, name your broadcast and invite attendees. Make sure and click “Connect to your YouTube account” so Google+ can record to your YouTube channel. You will then have time to adjust your camera and lighting and get any notes together before your Hangout on Air goes live. When the Hangout on Air has ended, it will automatically post publicly so others that were unable to attend can view it. It does have editing options as well. You can use Google+ Hangouts on Air as you would use any other public broadcasting venues. Holding virtual press conferences to announce exciting new developments is a great way to promote news for your business. Webinars are also expected to be a popular way to use Hangouts on Air in order to offer educational or informational resources. Other ideas to use Google+ Hangouts on Air for your business include industry expert roundtable discussions, interviews, virtual conferences, livestreaming events such as fundraisers or other industry events, ongoing user group discussions and question and answer sessions. 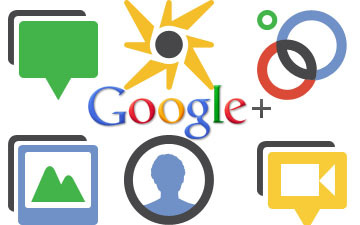 To further optimize your success with using Google+ Hangouts for your business, make sure and promote your events, create summary articles to include with the recordings at your business website. Writing a 400 word article using keywords and keyword phrases to summarize what the recording is about will help with search engine optimization efforts. It will also allow those who may not watch the recording right away to review the information quickly to see what they can come back to later. US: Is NPR ruining it for the rest of the Public Broadcasting venues, especially PBS TV?